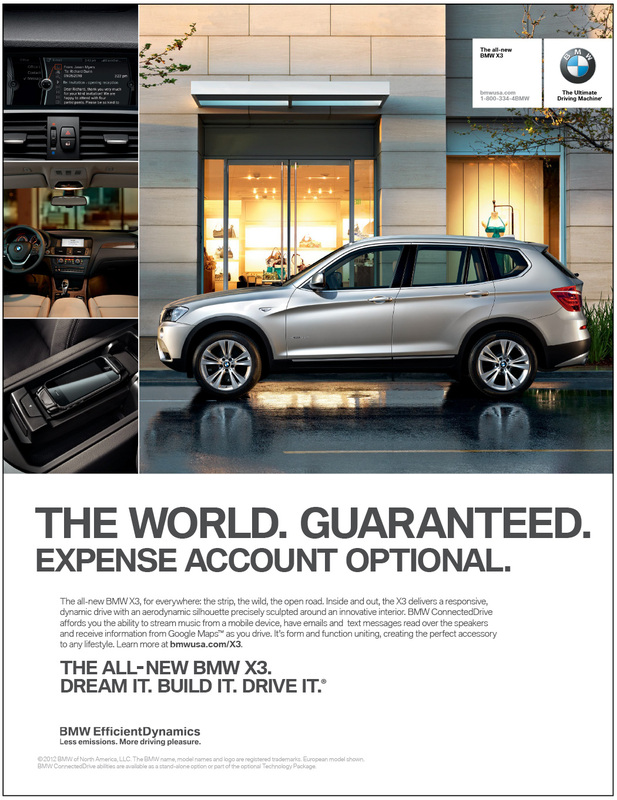 Spec campaign for KBSP for a new, mid-sized, “crossover” SUV. 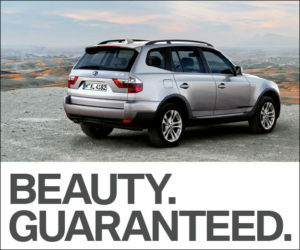 We wished to suggest, with some wit, that the right car can deliver a perfect experience—even in a less-than-perfect world. 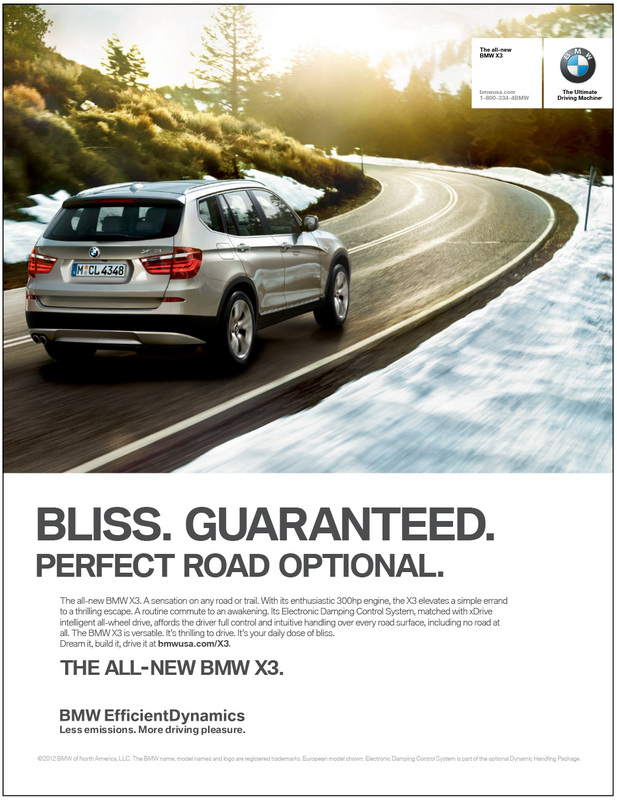 The all-new BMW X3. 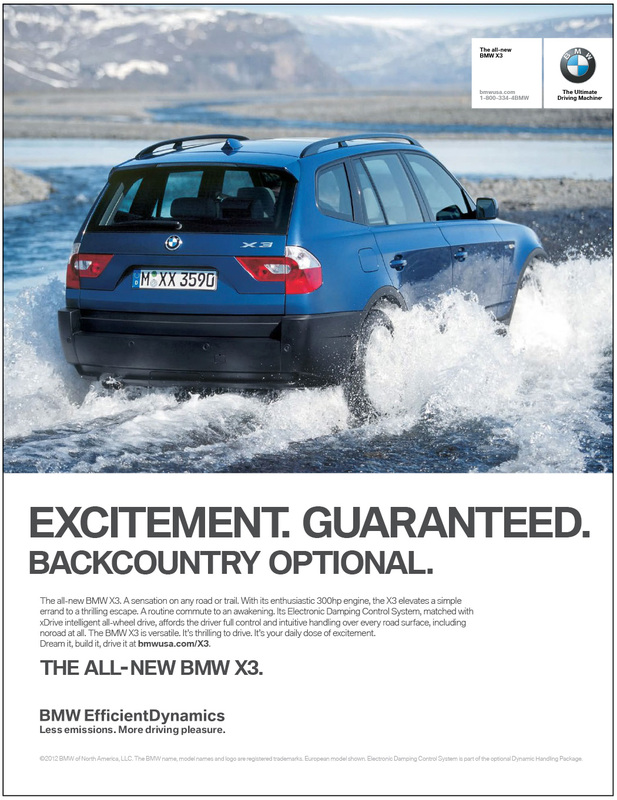 A sensation on any road or trail. 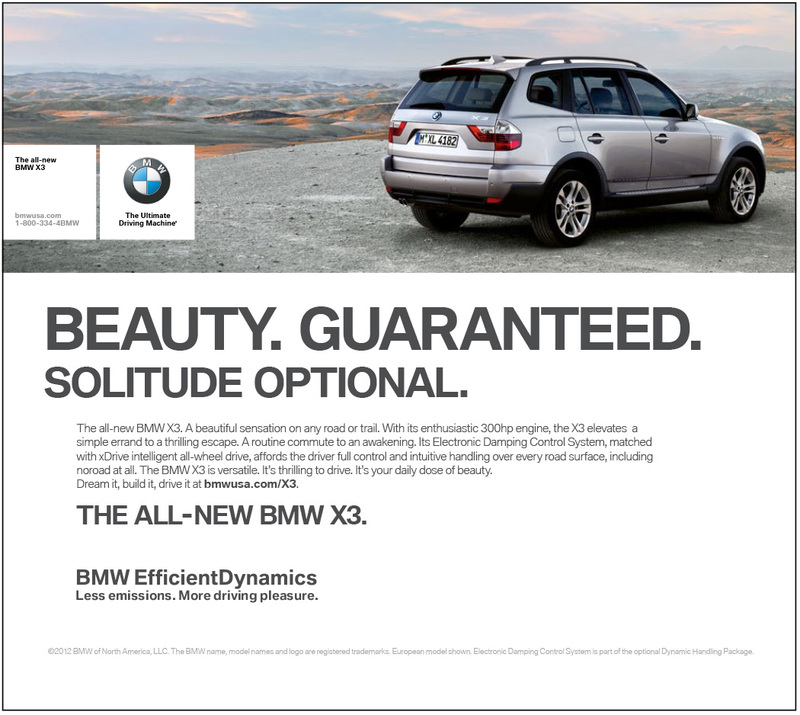 With its enthusiastic 300hp engine, the X3 elevates a simple errand to a thrilling escape. A routine commute to an awakening. 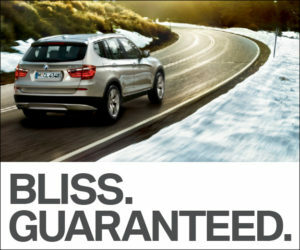 Its Electronic Damping Control System, matched with xDrive intelligent all-wheel drive, affords the driver full control and intuitive handling over every road surface, including no road at all. 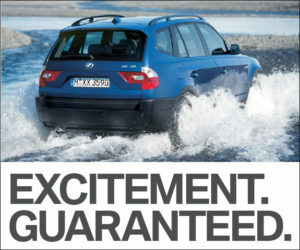 The BMW X3 is versatile. It’s thrilling to drive. It’s your daily dose of bliss.